(Giveaway) Trying Out The New Wellness Pack From Juice It Up! - EAT WITH HOP! 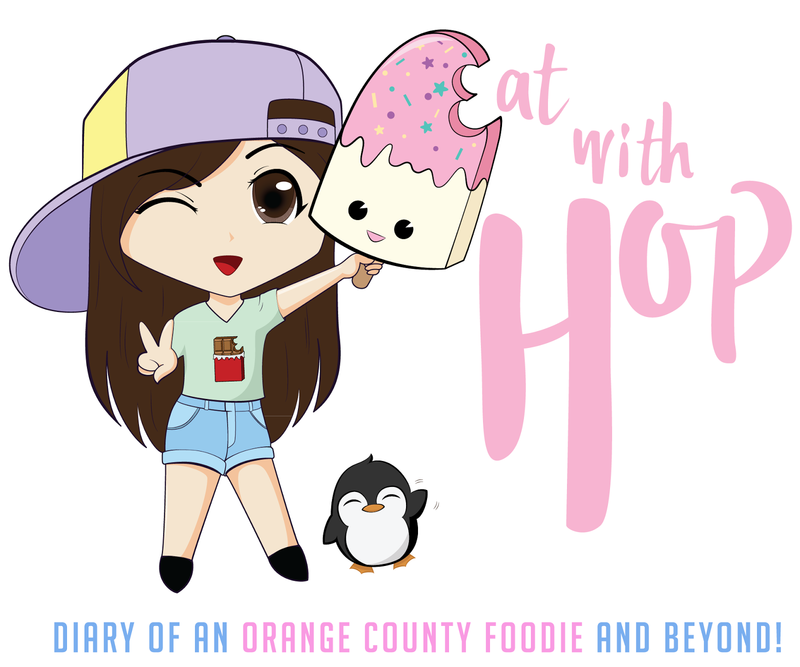 Home / CA / CHAIN RESTAURANT / GIVEAWAY / HEALTHY / IRVINE / JUICE / ORANGE COUNTY / (Giveaway) Trying Out The New Wellness Pack From Juice It Up! (Giveaway) Trying Out The New Wellness Pack From Juice It Up! I had the pleasure of attending the Juice It Up Media Event at their Irvine (Cypress Village) location as a media guest. There was a booth set up with games and even a massage station. Let’s just say I came out feeling like a brand new person with so much more energy ready to take on any challenge in life! THE MASSAGE WAS LIFE CHANGING! Anyway, I was so excited to try out the wellness pack and see how life changing that would make me feel internally as well! First off, I have to say that I am very used to the idea of cold-pressed juices. My mom is definitely a health advocate so we used to juice veggies and fruits and drink them. I, however, wasn’t a fan. Why? It tasted too healthy for me! That was when I was in elementary. And to this very day, my mom still makes her own juices but she gave up forcing them on me. I wonder why, haha. When I brought home a wellness pack from Juice It Up that has 6 different juices using a variety of veggies and fruits, my mom was more than excited. She was so happy that I was bringing something healthy to drink and encouraged me to get more after finishing this pack. Since I am older now, I realize the importance of maintaining a healthy lifestyle. So I am trying to make veggies and fruits a more common part of my diet. But sometimes, there just isn’t enough time in the day to slice up the fruits or cook the veggies to eat. 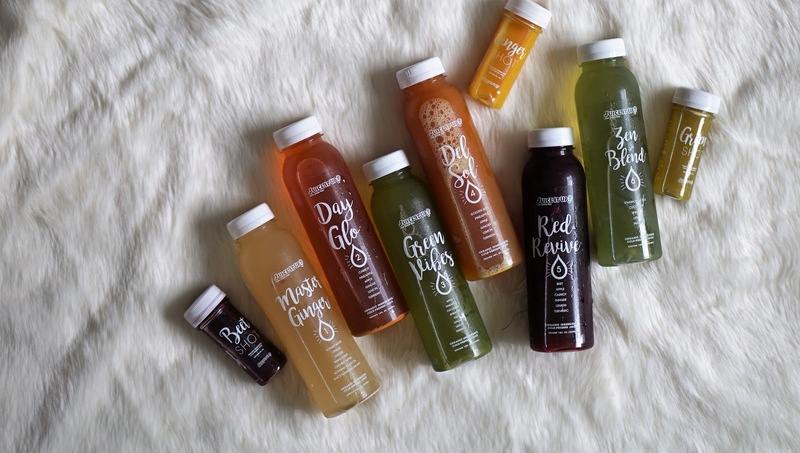 Cold-pressed juices, such as the ones sold by Juice It Up!, makes it more convenient! I was confused on how to drink this wellness pack. I wasn’t sure if I was supposed to be drinking all 6 bottles in one day? Am I supposed to drink only the bottles in one day without eating any other food? Or do I drink 1 each day for a total of 6 consecutive days? Screw it. I’ll just drink it my way. I decided to eat meals I normally would eat (food media events and all) but drank a bottle each day! I felt healthier because I was finally getting some healthy fruits and veggies into my system. Master Ginger: I hate eating ginger on its own but don’t mind it at all in a drink. The ginger flavor in this drink is strong. And the taste is a bit spicy from the cayenne pepper. So be warned. But it is slightly sweetened with some maple syrup! Zen Blend: This is light and refreshing tasting because of the cucumber and chamomile tea! The other juices taste more on the ugh-this-tastes-too-healthy but was bearable. The only drink I couldn’t bear to finish was the Red Revive. The beet flavors in there just told me to… “beat it….” and give up on that thing. My mom, however, enjoyed that (she regularly drinks beets). If I had to choose to buy just one to enjoy drinking, it would probably be the Del Sol! ENTER THE JUICE IT UP! GIVEAWAY! I am excited to be collaborating with Juice It Up! to give one lucky Taste Bud a $25 gift card redeemable at any Juice It Up! location! Prize: $25 gift card to Juice It Up! ARE YOU DOWN FOR A HEALTHY JUICES? (Optional) Share this post! Tell your buddies to enter so if they happen to win, you win too! Unless those buddies don’t plan to share…. Also, sharing the post helps spread the word and thus supports the blog!